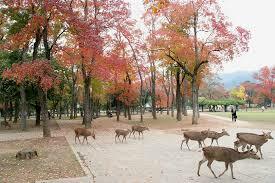 Nara Park was established in 1880 near the famous sites such as Todaiji, Kofukuji, Kasuga Taisha and the Nara National Museum. 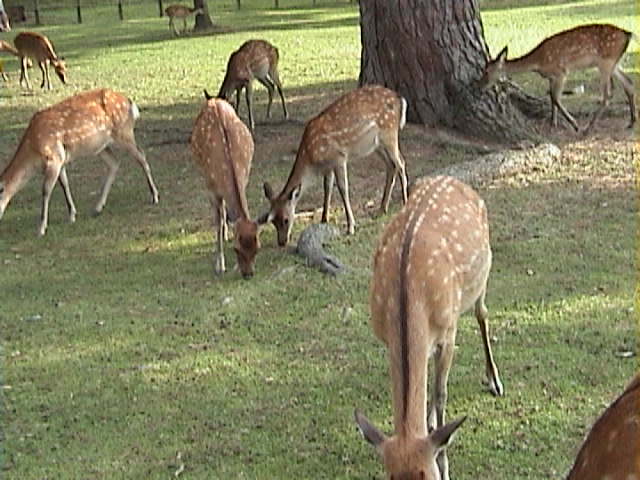 It is said that there are around 1200 deer roaming freely inside the park. 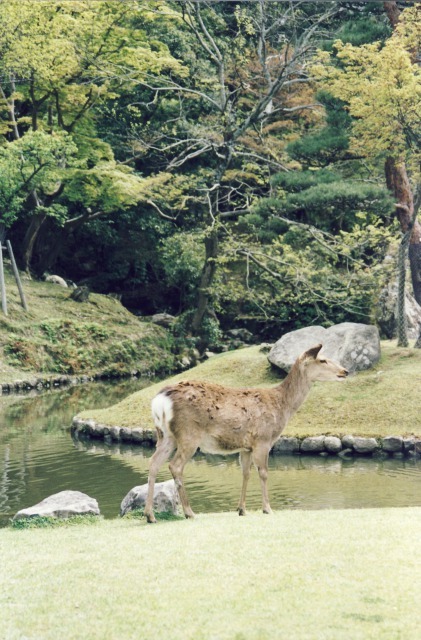 Deer are associated as the messenger of Gods in Shinto therefore; such deer have become a symbol of Nara and are considered natural treasures. 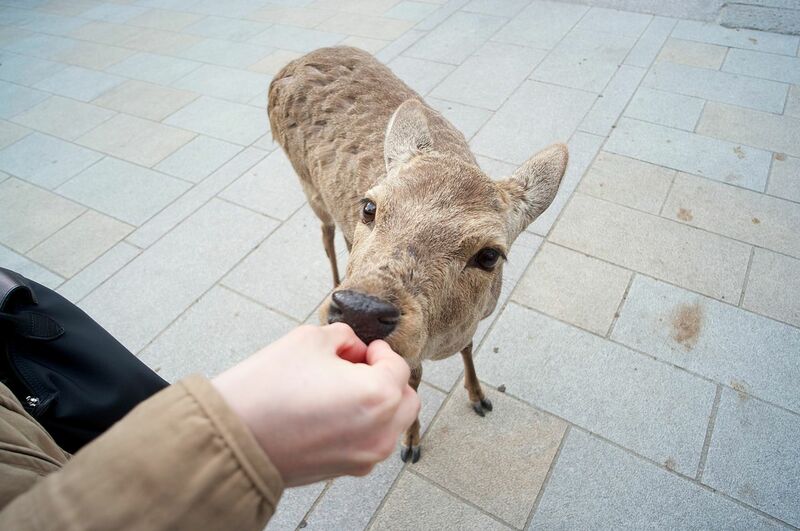 Deer crackers are also sold around the park, so the visitors can feed them. They are surprisingly quite friendly so many visitors enjoy interacting with them.